About 2:30 am on Friday, May 11, Amal Fathy, her husband Mohamed Lotfy, and their 3-year-old child were awakened by Egyptian security personnel. For hours, a Special Forces detachment of seven armed men in uniform and two plainclothes officers raided the home. Amal, a former actress and fashion model, had posted a Facebook Live commentary expressing her anger about sexual harassment two days earlier. In the 12-minute video, Amal lamented how a taxi driver groped her and a bank guard verbally harassed her while grabbing his crotch. The three were taken to a local police station in Cairo’s Maadi district. A few hours later, Mohamed and their child were released, but Amal still languishes in prison. Everyone knows sexual violence exists in Egypt and across the world. But in my country, abuse has become so common that it goes unreported. If someone refuses to accept it, they become the odd one out. That’s what happened to Amal. She decided to take a stand and share her story – and now she’s being punished for it. Amal has been accused of broadcasting false news affecting national security and possession of indecent materials. But this was not enough for the authorities. Two days after her arrest, Amal was accused in State Security prosecution case #621 of belonging to a terrorist group. On September 29, Amal was given a two-year prison sentence and a fine of 10,000 Egyptian Pounds ($560) over the first set of charges. She paid bail of 20,000 EGP ($1120) to suspend the sentence pending appeal, but remained in custody on the second set. She has faced State Prosecution 10 times, each appearance ending with a 15-day extension of her pre-trial detention. The last session was held on October 28. During the rule of Army-general-turned-President Abdel Fattah El Sisi since 2014, the use of the Internet has been restricted, monitored, and often punished. The Web which contributed to the spread of the 2011 protests in Egypt has been transformed into a double-edged sword on which Egyptian police and security agencies can rely on to identify opponents and muzzle them. Sisi’s obsession for controlling civil society organizations and common citizens was enshrined in a repressive law which legalizes censorship of the Internet, enables authorities to block websites, and imposes heavy fines and detention for those who will not comply with the law. The law, approved by Parliament on June 5, sets a precedent with its regulation and censorship of social media content, a practice which was widespread but which lacked a legal framework for the actions of State security officers. The “cybercrime” law gives the investigative authority the power to block a website whenever content is deemed a threat to national security or a danger to the economy. The blocking order has to be executed by internet service providers as soon as they receive it, enabling security officials to ban a website before any judicial authority issues a decision. The new law establishes comprehensive surveillance of communications, requiring communications companies to store users’ data for 180 days and obliging telecom providers to hand over detailed information about users’ communications, including voice calls, text messages, website visits, and the use of apps on laptops and smartphones. Service providers are also required to provide national security agencies and police officers with the technical facilities and assistance needed to exercise their power. Criticized by local and international rights groups as being excessively vague, the law sets a range of 29 penalties on offenders, ranging up to 5 years in prison and fines of 20 million EGP ($1.12 million). And there is more: a regulation approved by Parliament on June 10 imposes sanctions on any individuals with a personal website, blog, or on-line account, with more than 5,000 followers over the publication or dissemination of false news, incitement to violence or hatred, discrimination, intolerance, defamation of individuals, and insult to religious beliefs. Like anti-“terrorist” and anti-protest laws, as well as restrictions on NGOs, the cybercrime law is part of a framework “whose goal has not only been to suppress most fundamental freedoms, but also to guarantee total impunity to the various security forces and intelligence agencies involved in the implementation of these laws”, according to a report issued by the Fédération Internationale des Droits de l’Homme. Amal Fathy has spent six months at the al-Qanater women’s prison. The prolonged detention has brought severe psychological and physical ailments. She frequently suffers from panic attacks and has complications in her left leg after prison doctors took more than two weeks to find the right medication. Previous stories of Egyptian detainees, such as the death of 19-year-old Mohand Ehab, show the medical neglect and mistreatment used to curb prisoners’ self-confidence. 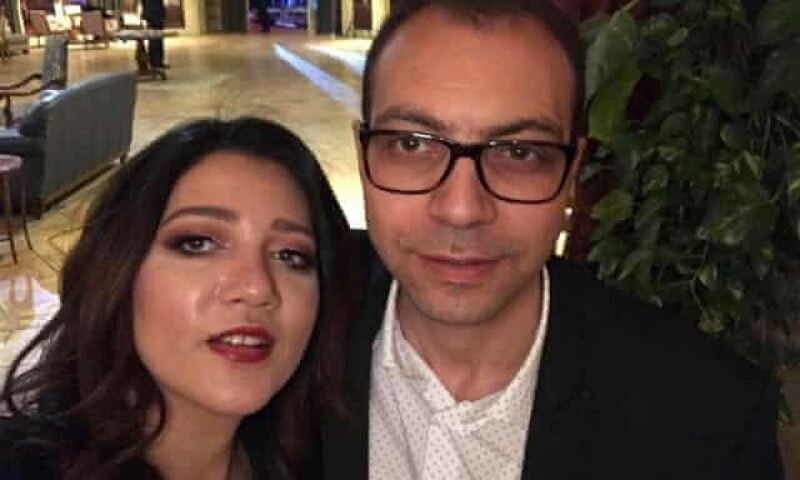 Many suspect Amal’s arrest is a message to her husband Mohamed Lotfy, the executive director of the Egyptian Commission for Rights and Freedom. ECRF provides legal assistance to Egyptians, and its reports on tortures, forced disappearances, and disrespect for human rights have been a thorn in the regime’s side. Since 2015 ECRF staff have been regularly harassed by Egyptian security agencies. Some, such as Mina Thabet and Ahmed Abdallah, spent months in prison, while others like Lotfy have been included on a travel ban list. ECRF also provides assistance to the family of the slain Italian researcher Giulio Regeni: Fathy’s detention came as the Egyptian authorities were negotiating with Italian prosecutors seeking images of Cairo’s underground where Regeni may have been seen for the last time. The sharp decline in human and civil rights standards, including freedom of expression, is the outcome of a daily repressive climate. NGOs and civil society organizations are often seen, treated, and prosecuted as a threat for national security; journalists, students, lawyers, and other citizens are incarcerated, if not killed or disappeared. More than 7,500 civilians have faced a military court since October 2014. Last May, several activists, bloggers, and journalists were arrested for expressing their opinion, among them the video blogger Shady Abu Zeid, the liberal activist Shady Ghazaly, labour rights lawyer Haitham Mohamedeen (freed at the end of October), and the award-winning journalist and blogger Wael Abbas. A police raid on November 1 led to the arrest of 19 human rights defenders, among them also Hoda Abdelmoneim, a former member of the National Commission for Human Rights. These detentions violate the Egyptian Constitution, whose Article 57 guarantees citizens right to privacy, and minimum international procedural standards. However, they are only the tip of the repressive iceberg. According to some estimates, at least 60,000 political prisoners are languishing in overcrowded cells amid the spread of diseases from horrific conditions. Torture and disrespect of fundamental human rights are the backbone of the Egyptian state’s strategy to annihilate any kind of real, or perceived, opposition. In such an environment, a woman who dares to express her frustration over being harassed twice in the same day is easily transformed into a criminal subject. 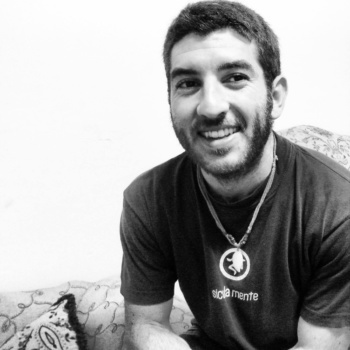 Giovanni Piazzese is an Italian freelance journalist and PhD candidate at the University of Birmingham, working on Egyptian politics and civil society movements. After several years of volunteer work in Guatemala, Mexico, and Haiti, he spent almost 4 years in Cairo where he regularly worked with Italian and non-Italian outlets.